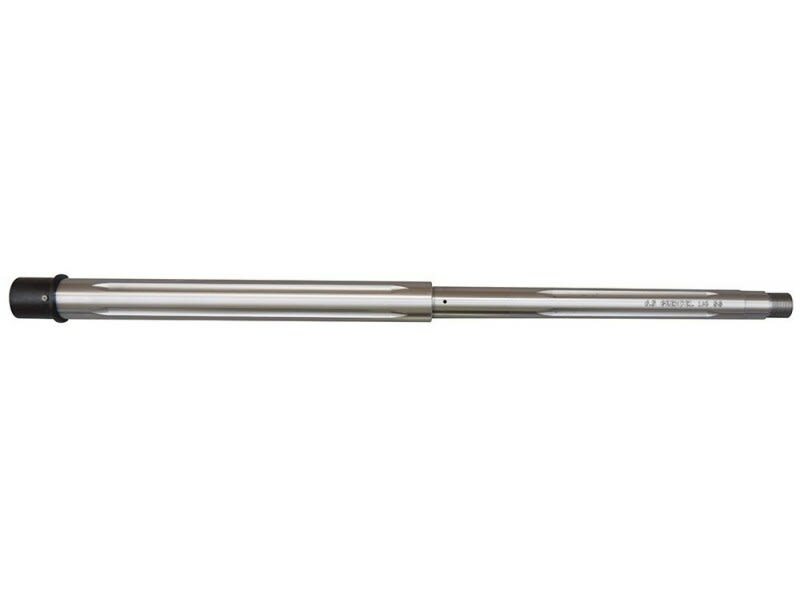 Premium Grade Stainless AR-15 Heavy Barrel, 18", Straight Fluted,1 in 8 5rd twist , Stainless steel. Gas port drilled for mid length gas set up, straight flutes, and threaded for comp. This is a premium grade 18" Stainless steel AR-15 Heavy Barrel from a highly respected U.S. contractor/barrel manufacturer.These high-quality barrels are renowned for their deep, crisp, and consistent rifling and extreme accuracy. 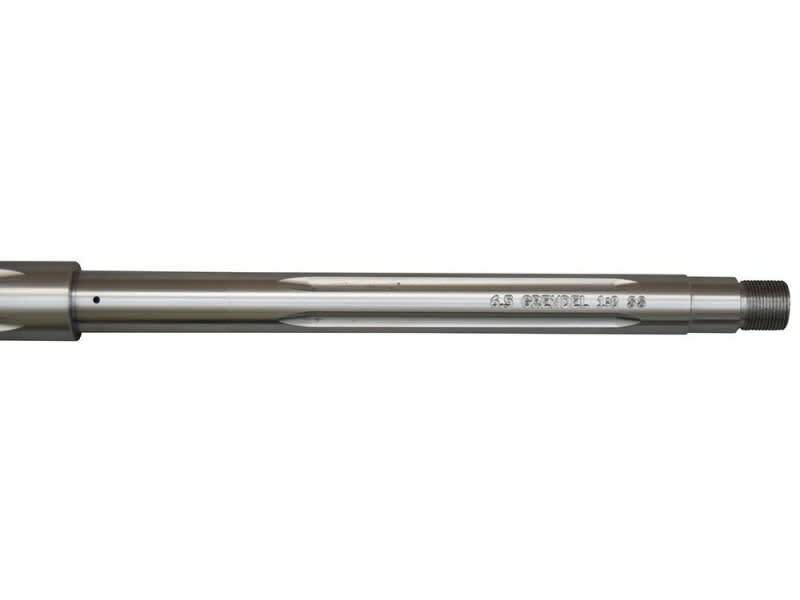 Made of 416 Gun Quality Stainless Steel for our Stainless Steel, these barrels are manufactured on modern CNC equipment to completely machine the barrel. We drill, ream, rifle, turn, chamber ream, pin the Barrel Extension, drill the gas hole, and mill the flutes, all on late model CNC Equipment. The Barrels are manufactured under the ISO 9002 Quality System, and barrel goes through a Final Inspection before shipping.